It is not uncommon for couples to allocate the responsibility of family finances to one spouse. This arrangement is often present when one spouse has a financial career. Nevada readers may agree that this could work well; however, when that spouse unexpectedly loses his or her life, the remaining spouse may be placed in an awkward situation. Proper estate planning is an effective way of recording one’s wishes and protecting assets, but it should not leave the loved ones confused. Sharing information is essential, not only when it pertains to household finances, but also information related to the family’s estate planning. In the event of the death of one spouse, the other one may need to contact the investment broker, insurance agent or accountant. If this information were shared, there would be no problem. What if the remaining spouse has to make an online car or mortgage payment without knowing login details and passwords? A solution would be creating a list of essential information, including the names and contact numbers of any person whom the remaining spouse may need to contact. In addition, all login details for online accounts can be listed. It may also help to have the contact details of family members of both parties. Such a detailed list can be filed in a safe place or an encrypted computer file, but it should be easily accessible. 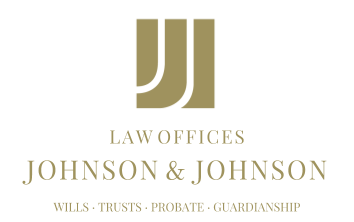 The aim of estate planning is to get one’s affairs in order, and Nevada residents may want to include such a list of relevant information in the estate planning documents. Those who have not made time to do their estate planning may want to give it some serious consideration. There is help available to guide an individual through the process and ensure the protection of one’s assets.